More companies are coming to the realization that sales and recruiting have quite a bit in common. Outside of the obvious audience variation — potential customers vs. prospective employees — the two fields share a preponderance of similarities. So why have the tools for recruiting and sales been so distinctively different for so long? Well, thanks to savvy tech developments in sourcing, recruiting, and overall HR tech, that’s changing. Drip marketing is one such tool quickly emerging as a recruiter’s best friend. While drip marketing is automated communication, recruiters can use this powerful tool to routinely follow up with interested candidates, driving an increased response rate while saving precious time. Recruiters who aren’t leveraging drip marketing practices are missing out on over 80 percent of potential responses to subsequent follow-up on initial outreach, based on internal research conducted by TalentBin by Monster. Here’s how recruiters can best use drip marketing and deliver top talent to their organizations. Recruiters are constantly building up their networks, and it can be difficult to connect with candidates on a regular basis. Drip marketing can help recruiters achieve this by allowing them to set up campaigns to automatically and regularly check in with candidates. That way, recruiters can more easily stay on top of their growing networks. Far too often in recruiting, recruiters get so busy that they drop the ball and forget to follow up. This should not be taken lightly, and candidate follow-up should not be allowed to fall through the cracks. Drip marketing will allow recruiters to ease that burden for themselves while staying on top of candidates’ minds. Recruiters can customize their drip marketing campaigns to target candidates with a variety of different techniques and strategies. To allow for more focused communication, recruiters can group candidates together by stage and industry, triggering different themes for drip marketing “campaigns” — which can also be further customized by factoring in company culture or the nuances of specific job roles. Use this communication to sell the company or role to candidates using different points of interest each time. If successful, you will engage candidates in more of a two-way conversation. Recruiters have the option to set up communication to engage and — even more importantly — reengage with candidates on the same thread. Following up on the same thread will give the impression that the messages are not automated and that it is a more authentic conversation — one that is two-way and that acknowledges previous dialogue. This also makes it easier for the passive candidate to view the recruiter’s original, customized message, which details the specifics of the position and the reason why the recruiter thinks the candidate would be a good fit. This is particularly important for intermittent conversations that occur over longer periods of time. 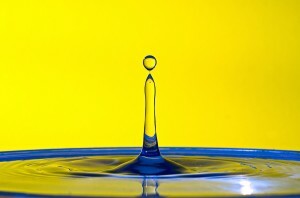 When done correctly, drip marketing can make quite an impact. A strong drip marketing campaign can be an effective tool for both corporate recruiters and agency recruiters. With the corporate recruiter, each message is a chance to elaborate on why the candidate should come work at their company, highlighting company culture, career growth opportunities, exciting challenges, and job role fits. For the agency recruiter, drip marketing is a great way to keep candidates warm over time, build more meaningful relationships with key talent, and stay on their radars for future roles and referrals. In a live test with 50 candidates in a drip marketing program, only 17.65 percent of candidate responses came to the first, heavily customized email, which is a respectable response rate (due to the heavy customization of the content, as opposed to generic, non-relevant outreach). However, 26 percent came on the second email, 24 percent came on the third email, and a whopping 32 peercent came on the final “I guess you’re not interested” email in the drip program. Of course, a drip marketing program can be much longer, depending on the amount of content you have, but this was just a basic case study. Still, 82 percent of responses came after the first message, underscoring the importance of this sort of follow-up — in this case, a follow-up that was automated in nature. Drip marketing campaigns provide a compelling candidate experience that drives candidate responsiveness and brings individuals down the hiring funnel, all with little to no additional incremental work on the part of recruiters. The key here is this a “drip,” a strategically timed and friendly reminder to those passive candidates, without being intrusive. You can keep your pipeline fresh by reaching out with a great initial message, followed by a steady flow of additional selling points while drastically increasing your response rates and saving hours of your time. All of the content will be curated by you and will get you closer to the talent you’re most invested in developing relationships with. Do you want to be first in mind for those candidates that will drive success and innovation in your company? Then consider turning on drip marketing to create a steady stream of incoming talent.